This one might freak out some, I am thoroughly against taxidermy and fur, but skulls, when naturally found, is nothing harmful. 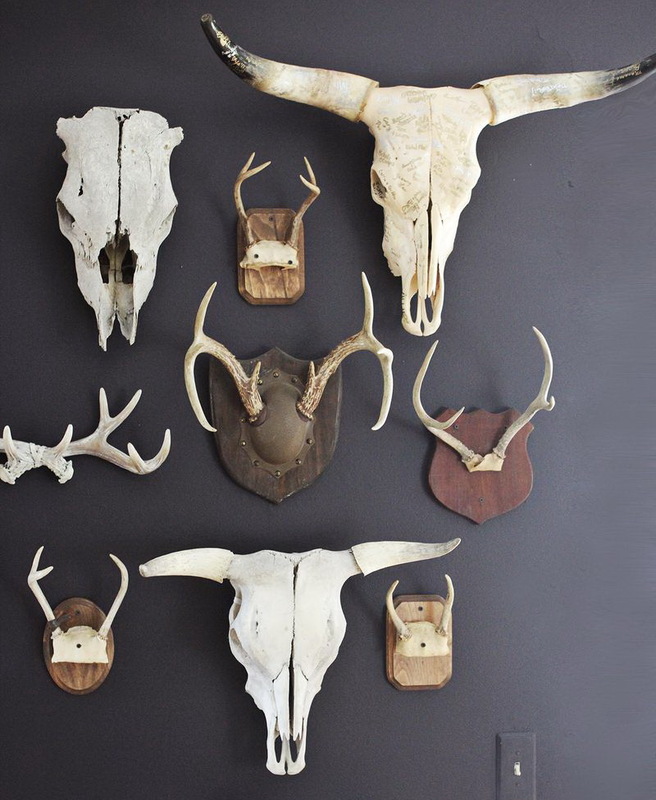 This dark grey wall with all the skulls looks pretty impressive. 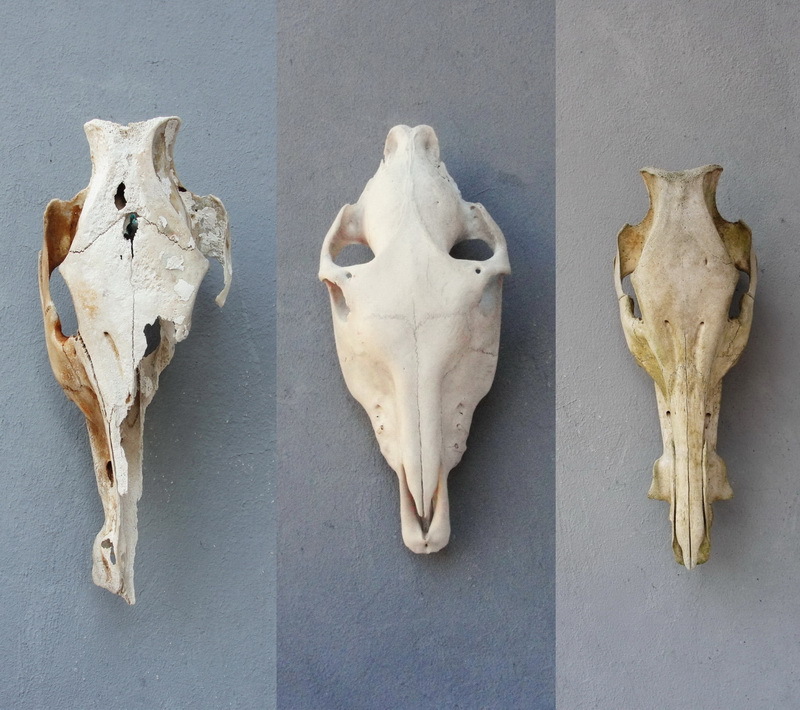 We currently have 3 skulls in the shop, either found on the beach or in the woods. 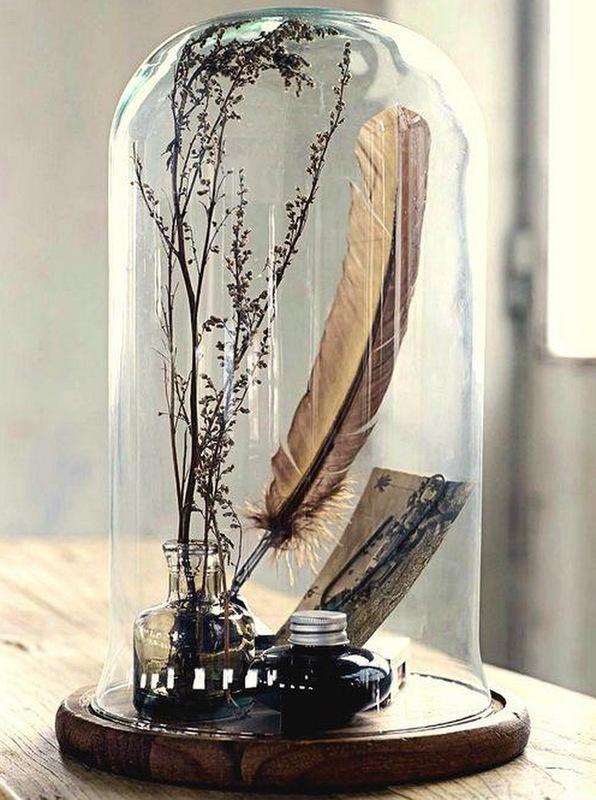 I haven't been able to find the source of this image but love the look of it, feather pens, ink pots and some more memories gathered under a glass dome, actually a lot of things look amazing under a dome, don't you think? 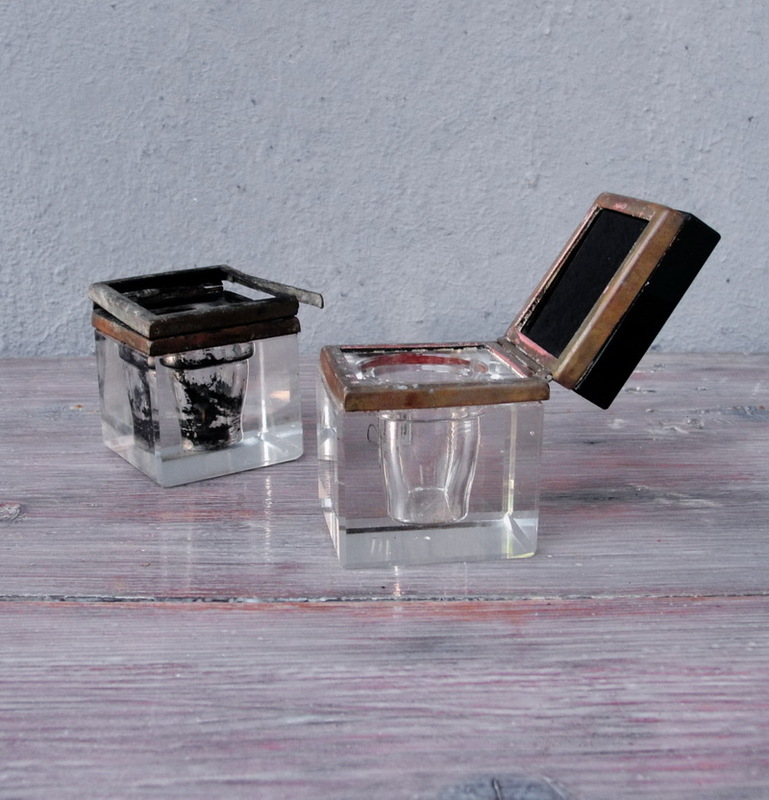 We have a set of two 1930's ink pots in the shop, which would look great like that, a perfect gift for writers and calligraphers or collectors in general. 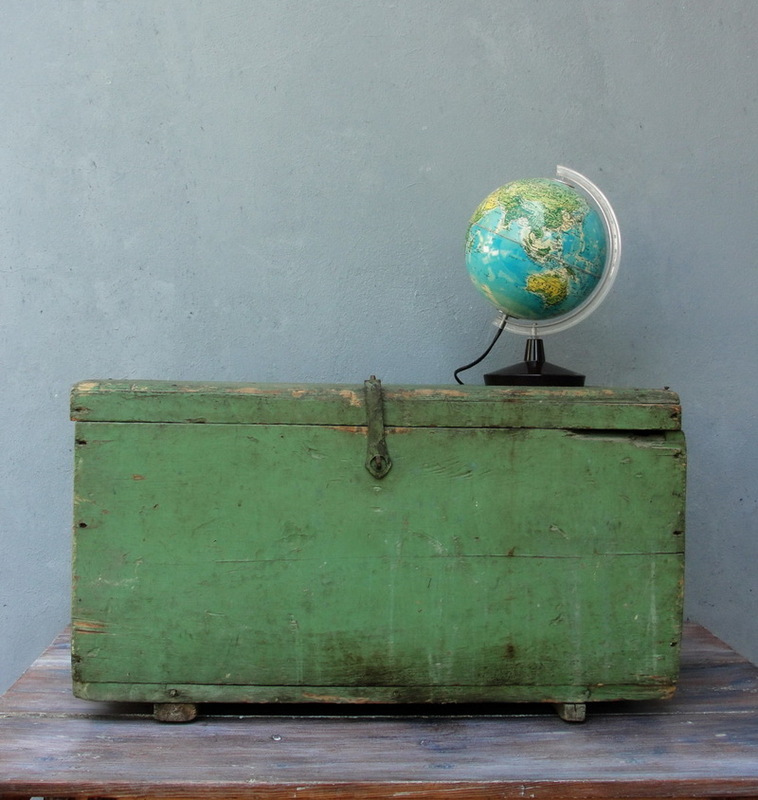 Wonderful finds and great pieces for decorating! 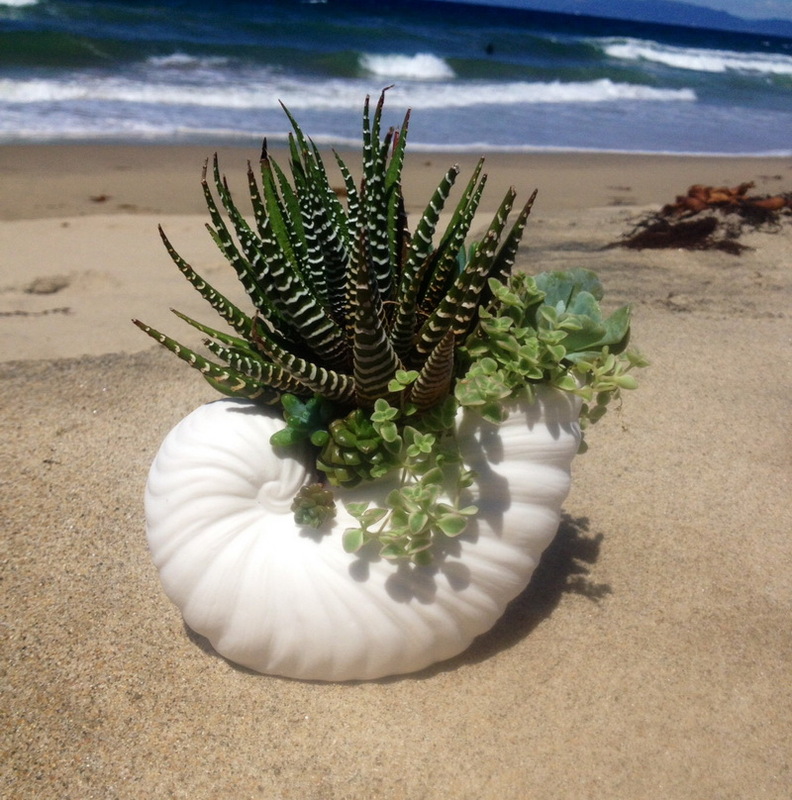 I'd choose the seashells with succulents! 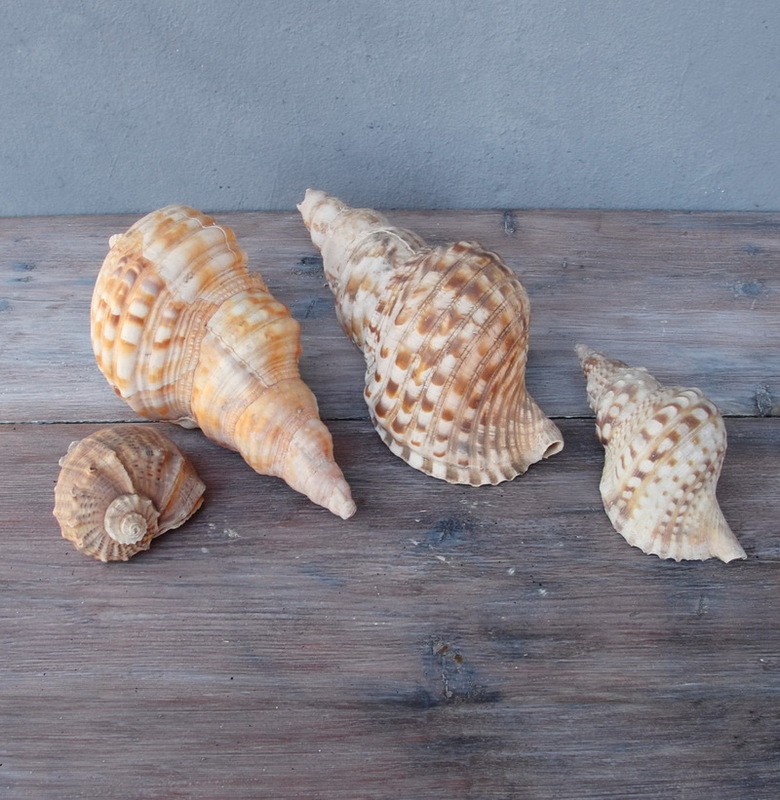 you have so many treasuries in the shop! Love the chest! When distressed by time itself it is the best! And the skulls look cool too. What beautiful ideas to decorate the house! 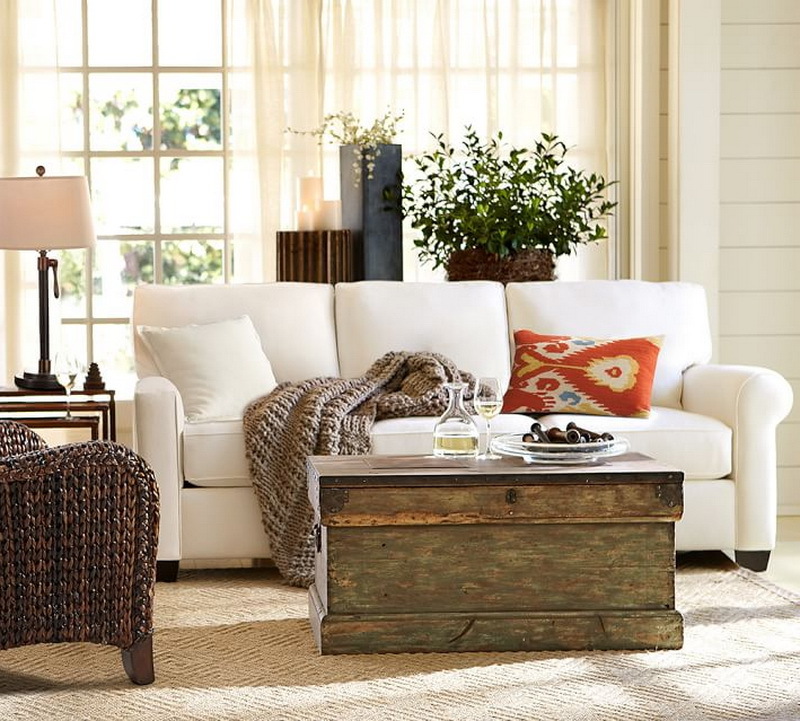 I liked the coffer. I love the glass dome! I would love to have one but I have so little space where I love right now and so many decorations!! !